This class is designed for ages 6-18 years of age. Students will go through a detailed warm-up that will focus on increasing flexibility, strength, & learning basic and safe body skills while utilizing an apparatus such as a Rope, Ball, Hoop, & Ribbon to music. This class is offered to 6-18 years of age. Students will go through a more extensive warm-up that will focus on increasing and developing flexibility, strength, & learning to perform skills while utilizing an apparatus such as Rope, Ball, Hoop, & Ribbon to music and routines. (Students at this level may be considered as potential team members). Team members are accepted on a try out basis. 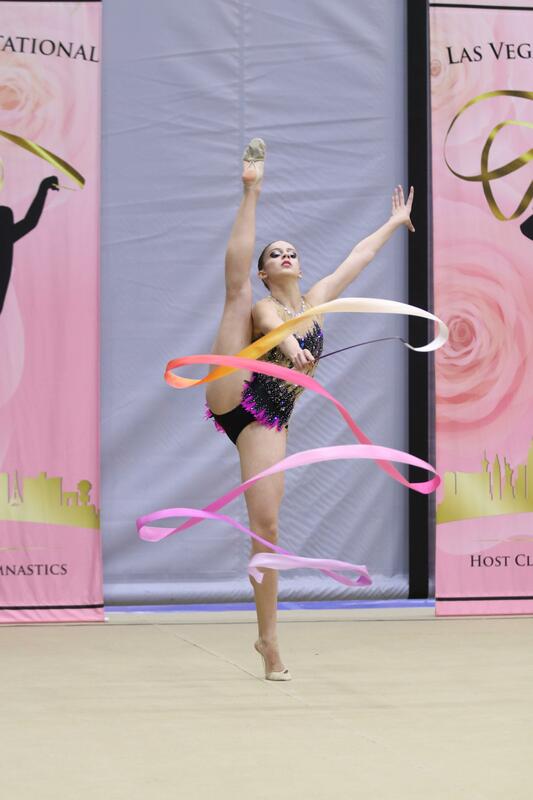 The competitive program will implement training that takes place a minimum of 3 days per week to prepare Rhythmic Gymnasts to compete in local, State, Regional, National, & potentially International in the future. Much like Yoga, the Stretch & Flexibility class will focus on loosening up tension in all areas of the body including back, sprine, arms, legs, to increase the alignment and posture. Whether you're at a beginners level looking to increase your flexibility, or you are flexible and looking to increase to a contortionist level, this class is designed for you. This class is open to ages 6-18 years of age. Students will learn well known iconic dance routines from performing artists such as Janet Jackson, Michael Jackson, Aaliyah, Britney Spears, and many more pop icons. This discipline will teach students a blend of variety dance skills that will allow the body to flow and move, while teaching precise choreography and steps. (Open to all levels. Routines may be altered to adjust to group skills). This class is offered to ages 6-18 years of age. Students will learn original choreography to music and routines compiling the skills and moves of Ballet, Jazz, and Contemporary. Drills of Leaps & Turns will be taught to prepare for routines, which will enhance progressively, allowing for a growth in skills throughout the semester. (Open to all levels. Routines may be altered to adjust to group skills).